No excuse for little bunnies to be bored over the Easter Holidays! There are heaps of ‘eggciting’ activities happening for all the family, many are completely free! 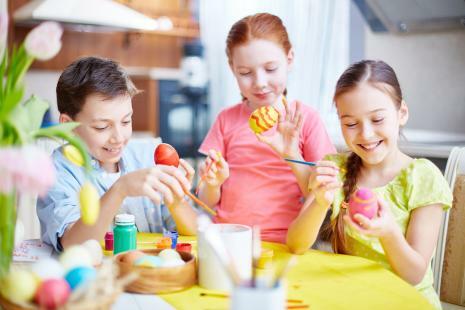 Free activities include Easter themed craft happening across our regional libraries, Bouncing Bunny Easter Trail and Easter Egg Collecting Cup Making at Poole Museum and don’t miss the Easter Food and Craft Fayre at Kings Park Bournemouth 22 April. ‘Hop along’ to Hengistbury Head Visitor Centre for Sand Art and Bunny craft, make your own Easter bonnet at Kingfisher Barn and visit Upton Country Park for Easter Egg Trail, Craft, Donkey rides and a chance to meet Peter Rabbit! There’s a ‘cracking’ choice of family theatre too - The Tiger Who Came To Tea, There Was An Old Lady Who Swallowed A Fly, The Amazing Bubbleman - all showing at Lighthouse Poole and Horrible Histories at Regent Centre Christchurch. For details of these activities and more visit The Family Information Directory and What’s On In Bournemouth. Could you benefit from 30 Hours FREE Childcare? Apply Now for 30 Hours Childcare! Thinking of booking a holiday in term time? Is Your Child Reluctant to Read? Does Your Child Have Additional Needs? Do you know a medical hero aged 6-16?